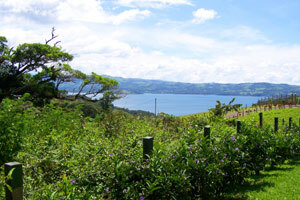 Three brand-new well furnished homes priced from $215,000 to $315,000 are for sale at Casa Lago gated community high above the lake on the north side near the village of Aguacate and just 20 minutes from the commercial center Tilaran, 1 1/2 hours from Liberia's international airport. 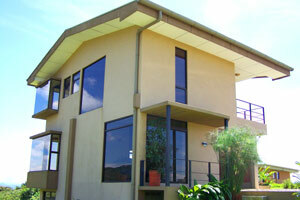 The construction is of fine quality, as are the furnishings and appliances. Jacuzzis in each house take in the lake and volcano views. The cabinetry and other woodwork is by a superb local craftsman who used beautiful hardwood. The interiors are by a professional decorator. 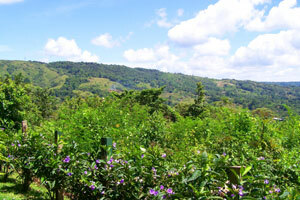 The community is electrically gated and guarded 24 hours. 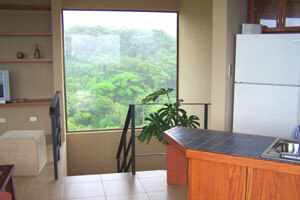 Beauty, quality, serenity and security can be yours here at Lake Arenal, Costa Rica. For more photos and information on the three houses, click on H18, H19, and H20. 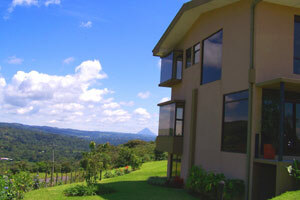 Arenal Volcano and the 3-story house. Sited on a slope, it can be entered via the first or second floor. With 2 bedrooms and 2 baths as well as an office, it is priced at $215,000. 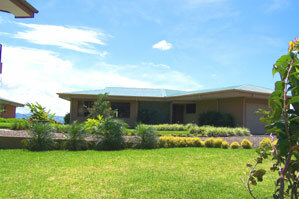 One of the single-story houses containing 3 bedrooms and 3 baths, priced at $315,000 each. With fine workmanship and furnishings, they are identical except for the reverse floor plans. .
Territorial view of hills to north of Casa Lago. 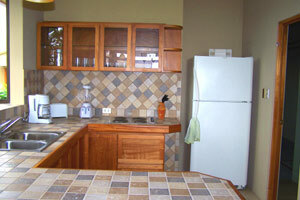 A kitchen shows fine woodwork and appliances. 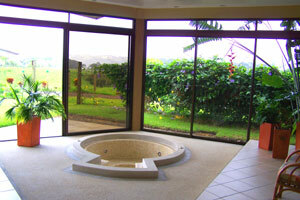 A jacuzzi in one of the single-story houses. 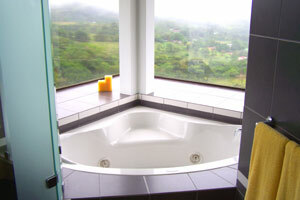 The jacuzzi in the 3-story house. The 3-story house minus lowest level. 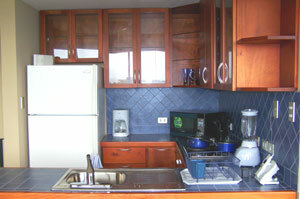 The kitchen in one of the single-story houses. They are identical except the floor plans are flipped. Stairway into kitchen and living room of the three-story house..